If you met with us at the IGTM you will have seen our latest Special Offers. If not, they are now downloadable from our TO-page (that you'll also find under "INFO" in the menu). All Special Offers need to be booked before 2015-01-15 which gives you a little over 2 months to promote and sell these really good offers to your clients. With your help we want to create a unique and tailormade experience for single golfers that want to meet new international golfing friends....and perhaps a future partner in life! 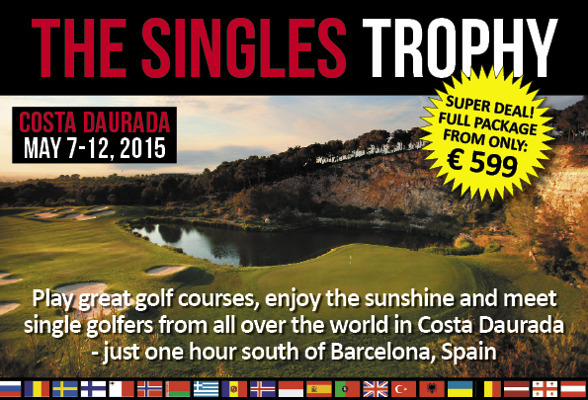 Click here to see the full program and all the details on THE SINGLES TROPHY!